gift shops as well as Amazon and Barnes & Noble. 112 pages, all full color and costs $38.00. that I have taken during many visits to Yosemite in the winter months. El Capitan, Half Dome, Horsetail Fall and other granite walls. as well as detailed maps and 100 color photographs, which showcase this dramatic drive along Highway One. 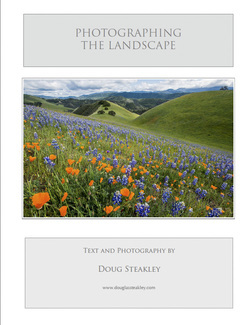 I just revised this 36 page booklet with images from Carmel Valley. of photographing this beautiful area. and white portraits of the Burmese people. I just updated this book to include images from tours from 2015-2016.
winter tours into Yellowstone National Park. 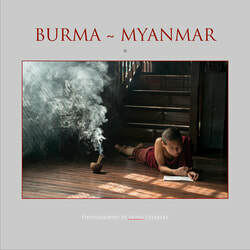 This new 40 page book contains 36 striking images from my two recent trips to Burma in 2013 and 2014 and is available in a large format 12" x 12" portfolio for $20.00 or as an ebook for $10.00. ravages of over-development and baneful tourism. Visitors soon discover that traveling throughout Burma is taking a step back in time—buffalo and oxen still plow the fields as they have for centuries, and the wide diversity of ethnic groups and ancient pagodas assures one of sights and experiences from a time forgotten. As Rudyard Kipling noted more than 100 years ago, Burma is “unlike any land you know about.” Today it is a pleasure to interact with the Burmese people, who are kind, warm-hearted and gentle, formed by the pervasive and spiritual Theravada Buddhist culture. Available as a printed book or ebook. the poetry of Ric Masten. When you look a the photographs, you see one dimension. Ric's poems add a second dimension and the reader's response is a third. I urge you to take the time to experience thisbook. Unfortunately ﻿Pacific Light﻿ is out of print, having sold more than 8,000 copies. undeveloped areas in the world, thanks in large part to the efforts of the land trust. Land Trust: Clint Eastwood, Leon Panetta, Robert Redford and Ted Turner. 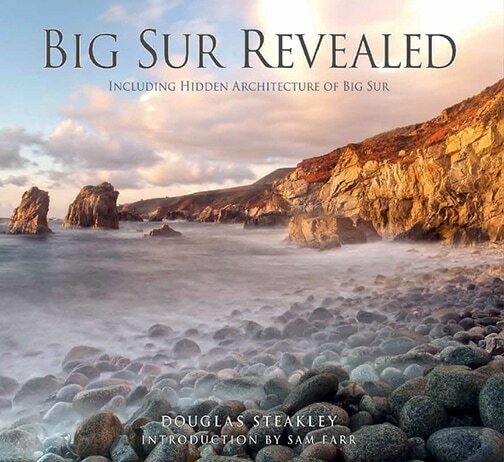 Unfortunately Big Sur and Beyond is no longer in print, having sold more than 12,000 copies. 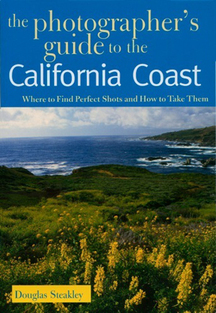 The Photographer’s Guide To The California Coast was published in 2006, by Countryman Press, a division of Norton and Company, Inc. The California coast is arguably one of the most dramatic meetings of sea and land in the world, from the rugged cliffs of Big Sur to intimate tide pools filled colorful starfish and anemones, the variety of photographic subjects is endless. for amateur and professional photographers as well as for tourists looking to capture the perfect images. hired us for this project did not publish the book, so we have published it through Blurb.com. 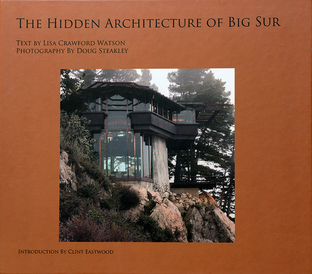 This book is a beautifully arranged documentary of many of the most beautiful and unique residences along the Big Sur coastline. Please click on the book to view a pdf of all pages. cities such as San Miguel de Allende, Guanajuato and Patzcuaro. Muertos--The Day of The Dead. streets and, of course, the quality of the light. and a few are sepia or split toned. 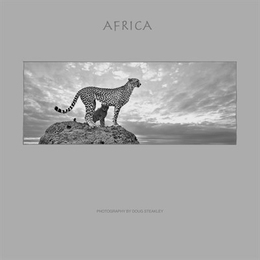 contains 38 images in a portfolio format that were taken since the publication of Pacific Light. ﻿﻿ This book is divided into two sections: The Land and The Sea. Available as a printed copy or as an ebook. Available as printed copy or an ebook.